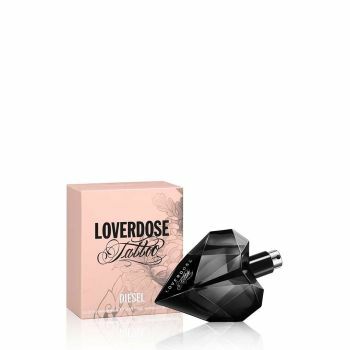 Loverdose Tattoo captures obsessive and wild sensuality translating it into a one of a kind floriental woody fragrance. A sophisticated and fiercely sensual scent, blended perfectly to suit a strong, self confident woman. It creates obsession and an addiction to love. Opening on fresh misty notes of bergamot and mandarin zests, the initial outburst is made irresistibly vibrant by a juicy and zingy cassis accord. The temptation of the fruity top notes slowly gives way to an intriguing and intensely feminine floral heart. After the velvety texture of rose accord, the intoxicating smoothness of orange blossom accord insinuates, introducing the alluring wild side of sambac jasmine absolute. These wild and sophisticated flowery middle notes are delicately wrapped in an undeniably addictive blend that drives obsession, gentle rice steam notes, enticing vanilla milk notes and tonka beans absolute.